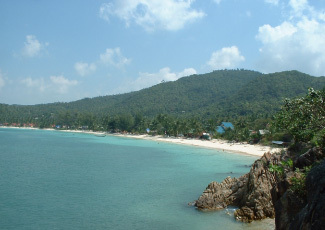 Bounty Resort is located on the southern point of Had Yao beach at Had Dao Deuk, a tiny private cove with its own white sand beach and secluded sunset views. 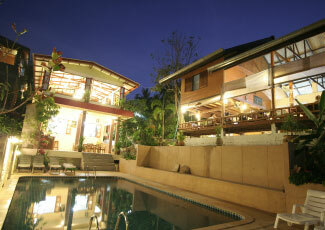 It is perfectly situated so that you can easily enjoy the vibrant nightlife and vast choice of restaurants at Had Yao, stroll up the idyllic palm fringes shores of Had Son or wile away your desert island dreams at this secret hideaway. 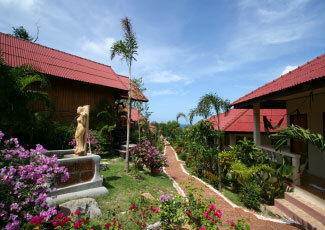 The resort includes air-con and island hut style fan bungalows situated around a scenic viewpoint swimming pool. The west coast of Koh Phangan supports the best coral reef on the island, and as Bounty is right on the headland, you can dive straight in from Had Dao Deuk and instantly appreciate the magnificent underwater world, full of mesmerising corals and amazing tropical marine life. 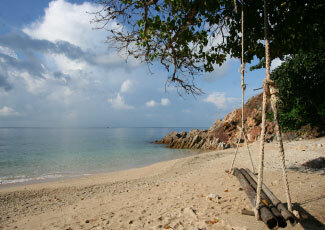 It is tucked away on its own little white sand beach, and provides the perfect location for secluded sunbathing. 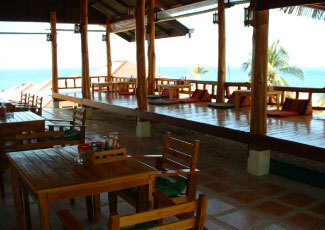 And if you are looking for beach action, there is plenty of beach bars and restaurants at Had Yao or on Had Son there is a long stretch of virgin white sand beach. 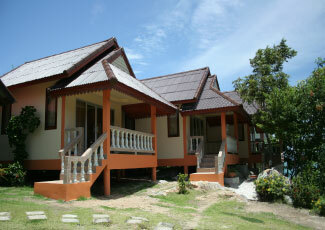 Bounty Resort has 16 bungalows which are all newly built and finished to excellent standards. The rooms are positioned so as to make the most of the amazing scenery whilst ensuring privacy and are generously proportioned to ensure maximum comfort. There are three different styles to choose from and plenty of different sleeping arrangements to satisfy most requirements. 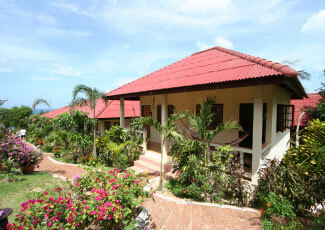 All the rooms have western fitted bathrooms, mosquito netting on the windows and large open balconies. There are four luxury air conditioned Mediterranean villas with hot water and a choice of two double beds or a double and a single. 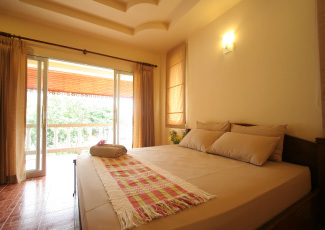 They have fitted wardrobes, ceiling fans, ceramic floor tiles throughout and are also the biggest rooms with amazing sunset views. Bounty also has six fan bungalows constructed in concrete and in a similar style to the luxury A/C rooms but just a little smaller. 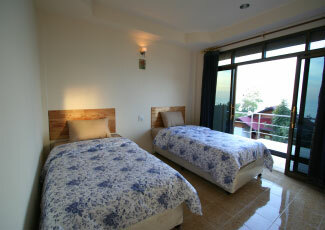 These rooms come with either a double or two single beds and are located on the hillside with sunset views. 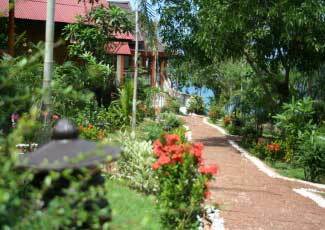 Bounty also has six island style bungalows for those on a budget; all have a double bed, fan and are constructed in wood for that authentic Koh Phangan feel.